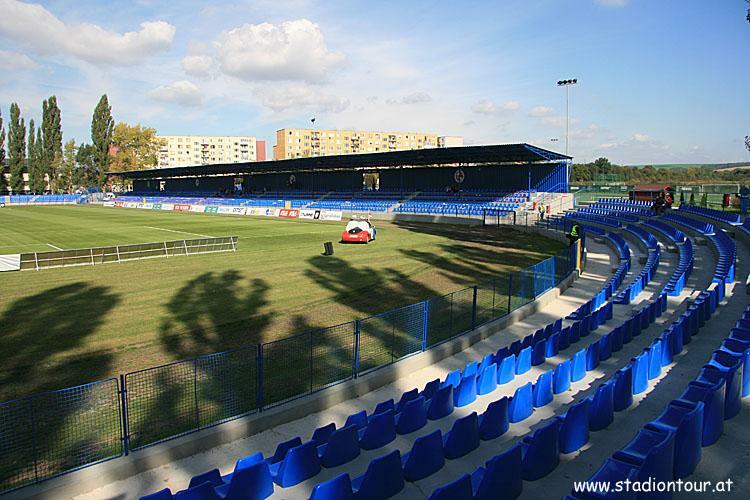 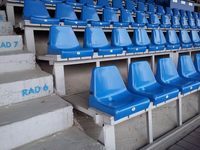 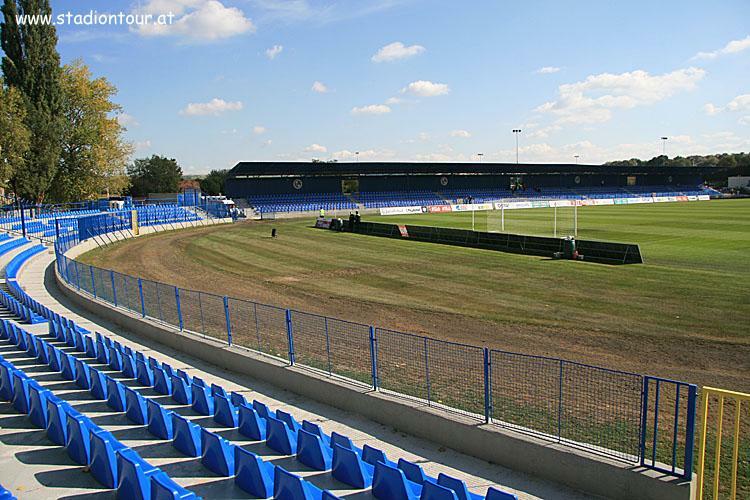 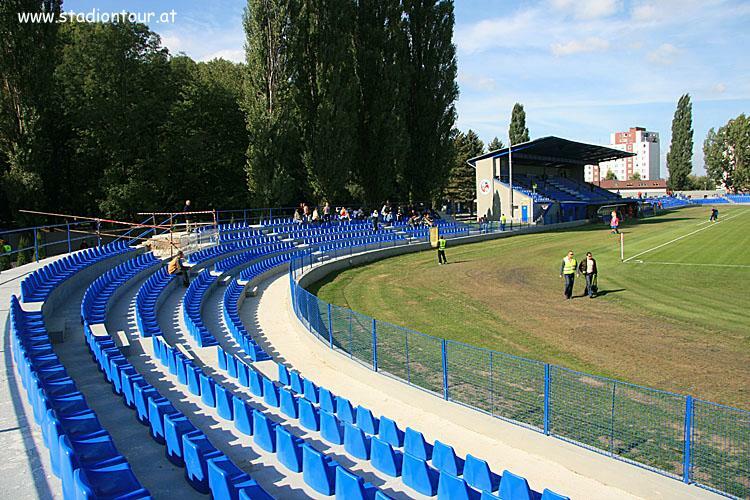 Located in the east of Senica, this stadium was opened in 1962 with low landfill stands of 5 rows around the field. 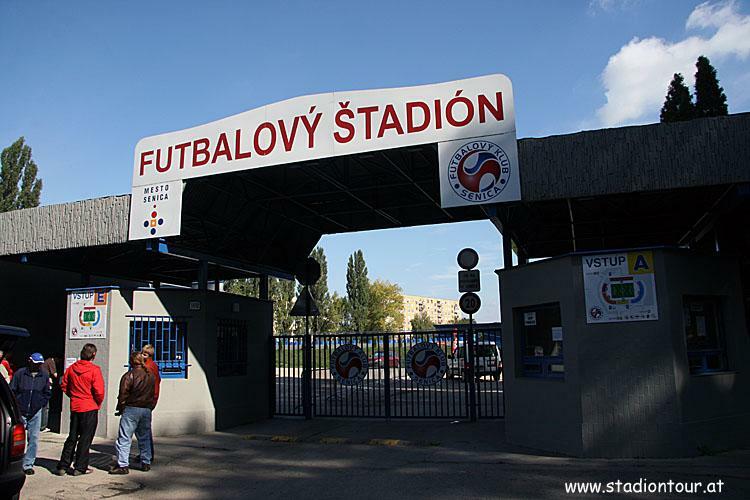 Inauguration game drew the national team of Czechoslovakia, which won comfortably with the selection of Senica, 7:0. 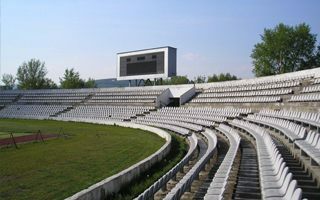 New main grandstand with covered seating was added in 1970 and in 2009-2010 the building underwent major upgrades to meet licensing requirements. 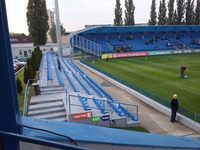 Still, this didn’t stop complete reconstruction carried out in 2012-2014 that saw three new stands built in a proper football layout. 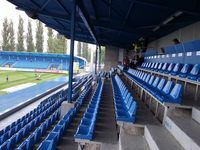 More compact, with better sightlines and cover, the stands have 8 rows and only small sections on the west side remind of what the stadium used to be. 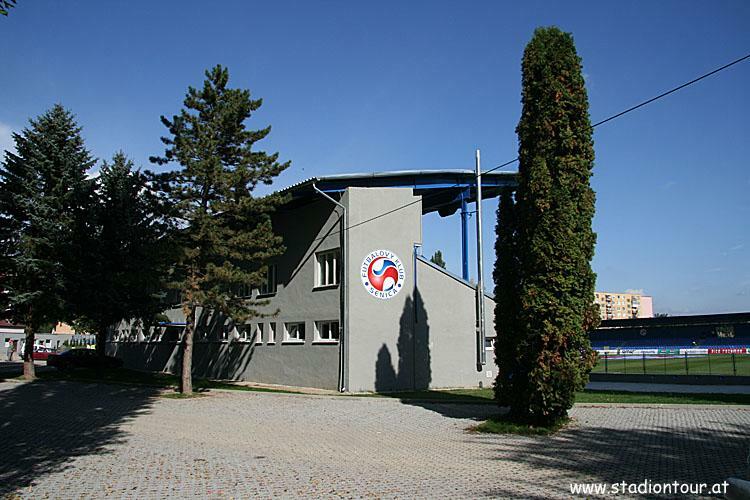 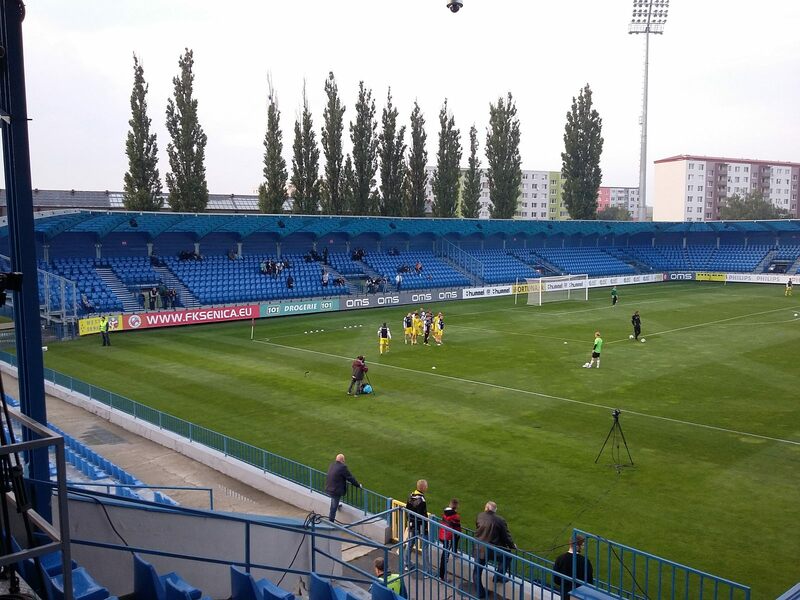 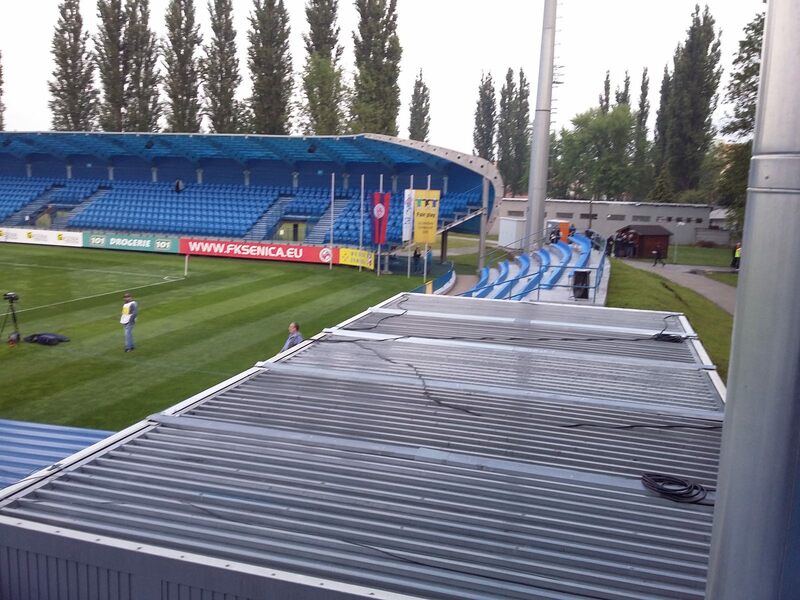 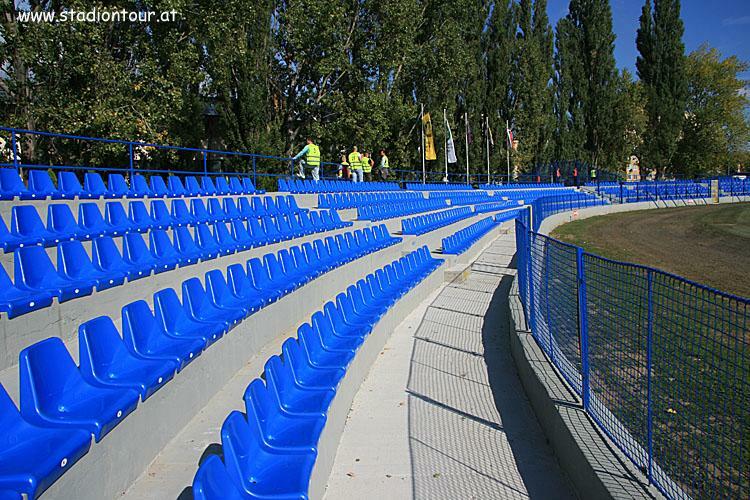 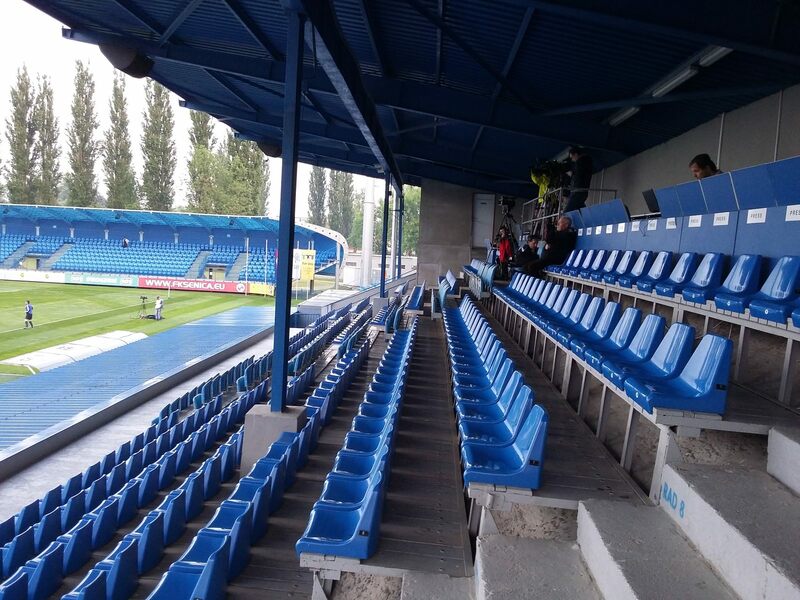 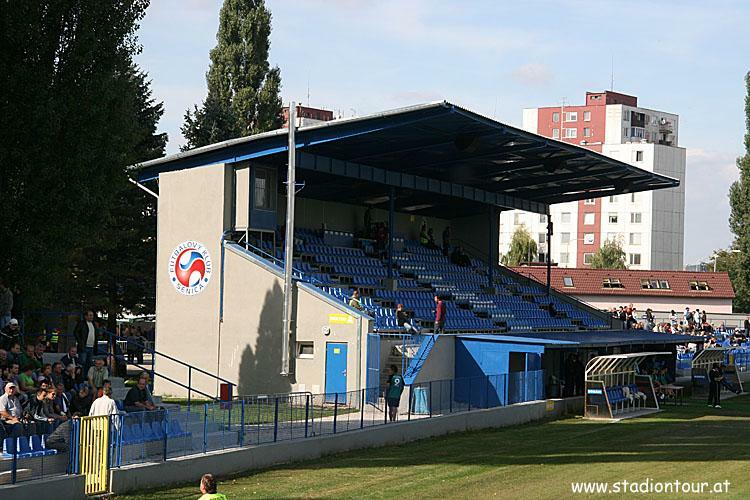 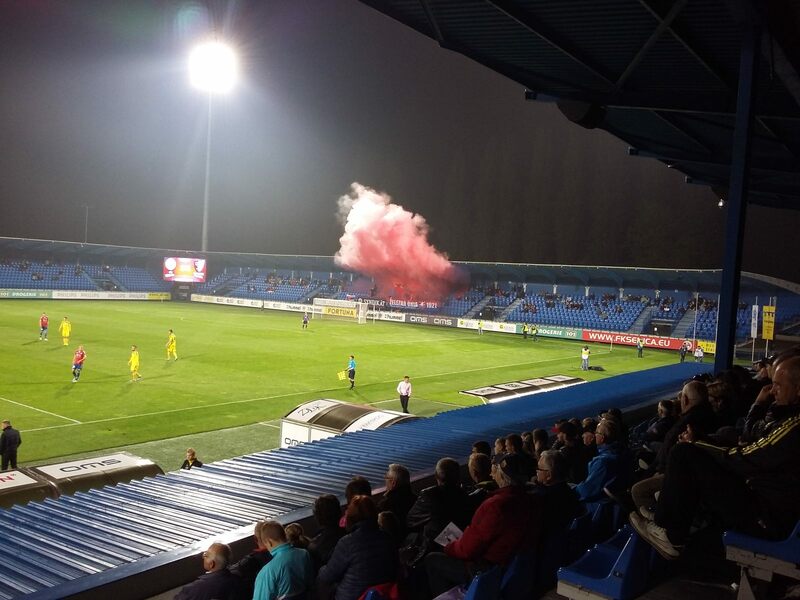 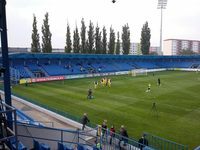 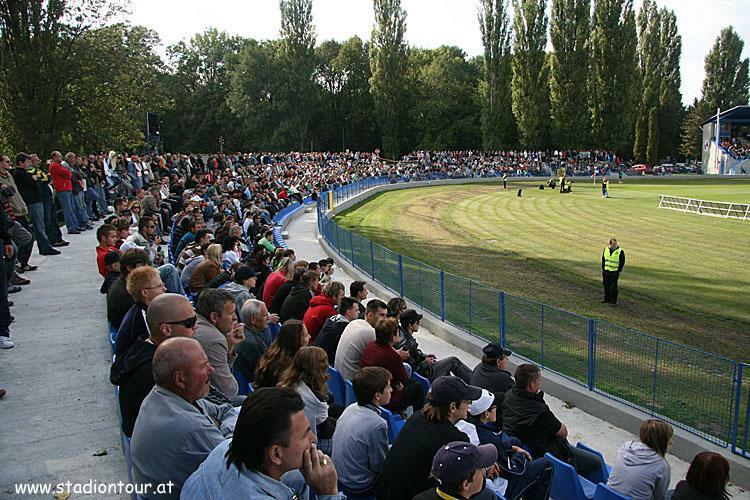 Majority of the project was covered by FK Senica owner Vladimír Levársky, with support from the Slovak government and national football federation.